An article about #CabaretTour and #RandyHarrison has just been published by Joey Guerra, who had a "chat" with Joe Masteroff, John Kander and Randy some time ago. The article has been released right in time for the new segment of Cabaret National Tour, Houston, where the musical will be performing at The Hobby Center for the Performing Arts from March 22nd to March 27th. Here we'll list all the reviews we can find about #CabaretTour and #RandyHarrison's performance while in Greenville. 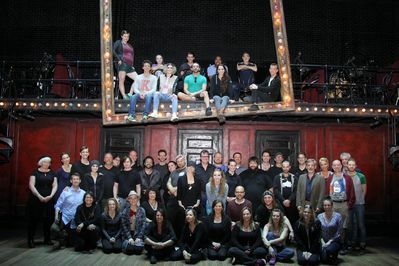 The cast of #CabaretTour posed for a photo on the stage at the Peace Center in Greenville as a thank you for the great help in making the show marvelous, as they wrote on the musical's official Twitter. Too bad Randy seems to have skipped the photo! 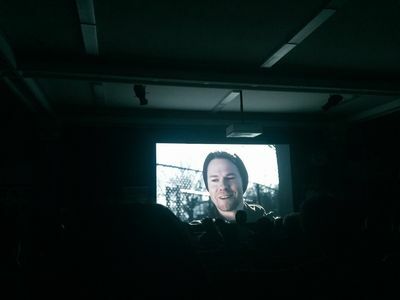 The short #PhotoOpFilm, with #RandyHarrison in the role of a Brooklyn photographer, was screened last night at PS 69 Jackson Heights in Queens, NY , for the category "TWISTED SHORT STACK - Icky, Creepy and well done" at the ‎Queens World Film Festival. 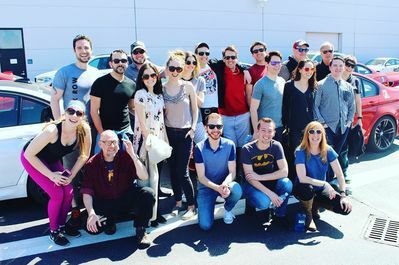 Today #RandyHarrison and the cast of #Cabarettour had a fantastic time at the BMW Performance Center in Greenville where they experienced test driving some Bmw cars. 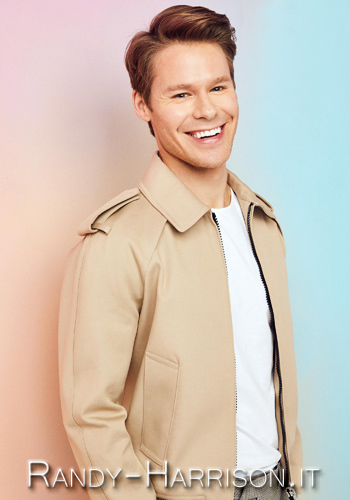 On March 16th #RandyHarrison was at the WSPA Channel 7 with his costar #AndreaGoss for an interview with Megan Heidlberg and Jack Roper in "Your Carolina". 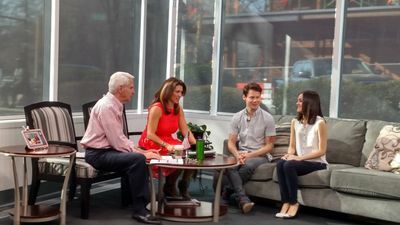 This morning #RandyHarrison was at the WSPA Channel 7 with his costar #AndreaGoss for an interview with Megan Heidlberg and Jack Roper. 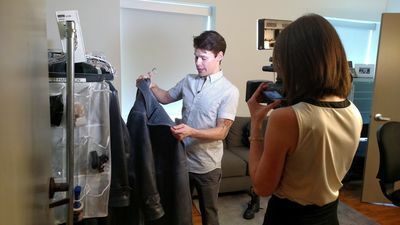 Tonight Sceneon7 published a video by Jennifer Martin with a short interview to Randy and Andrea and a little behind the scenes with a sneek peak at their costumes. We have two more photos of #RandyHarrison and #AndreaGoss. 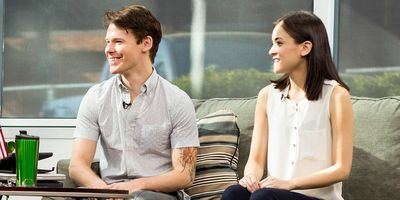 We have another photo of #RandyHarrison and #AndreaGoss at the WYFF News 4 studios for the video interview with Geoff Hart recorded today at noon. 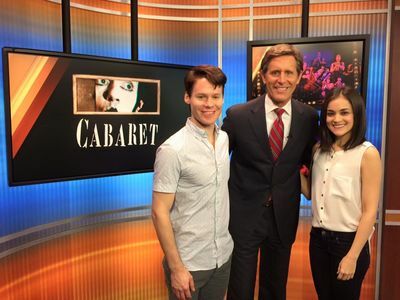 Today #RandyHarrison along with his costar in #CabaretTour, Andrea Goss, did the "TV rounds", as stated by Tara McNamara, Director of Public Relations for the Peace Center, on her Twitter. And at noon they were at the WYFF4 studios for another video interview with Geoff Hart. Click on the image below to watch the video.